Did you know when you train your dog, you’re doing so much more than merely teaching him a new skill? Science has shown that training may also change your dog’s brain and subtly alter his thinking processes. Training methods can affect more than just a dog’s learned skills, meaning positive reinforcement when training versus training with a force-based technique impacts your dog’s personality and emotional behaviors. Training methods can alter the amount of stress a dog feels and the amount of aggression a dog is apt to display. However, the issue of whether training actually affects the intelligence of dogs is another matter. But, as luck would have it, there is some relatively recent data on this issue thanks to researchers from the Psychology Department at the University of Milan. The researchers began with two groups of dogs – one group of 54 dogs was called the “Untrained Group” because the dogs in the group had either no formal obedience training at all or only a basic training course (typically consisting of only basic commands and how to walk on a loose leash). The second group was called the “Trained Group” and it consisted of 56 dogs with either current or past participation in high level training sessions such as agility training, search and rescue training, obedience training, etc. Some dogs were trained in more than one activity. The researchers selected a task each dog was totally unfamiliar with, being especially certain it was something the trained dogs had never encountered before. One particular task involved a box that food can be placed in. The lid of the box had to be opened in order to get to the treats inside. This could be done by either pressing on a paw-pad attached to the box or by the dog poking the lid with his nose. It was reasoned that since this task was a novel one, regardless of the dogs’ prior training in other things, it would provide some measure of intelligence, or at least give some insight into the dog’s problem-solving abilities. During the testing procedure, an experimenter placed some food in the box and encouraged the dog to take it, making it clear to the dog that food was there and that he was allowed to take it. Next, the experimenter closed the box while the dog was watching, and then demonstrated how the box could be opened by either pressing on the paw-pad or by manipulating the lid. This entire demonstration took only 15 to 20 seconds. In the test phase, dogs were allowed to freely move around the testing area and interact with the box as they pleased for a maximum of 2 minutes. During this time they were ignored by the experimenter and their owner. The results were quite clear. In the group of untrained dogs, only 30% solved the problem and successfully retrieved the food during the test period. However, for the group of trained dogs more than twice that number (61%) were successful. It also became quite clear that the trained dogs were more focused on the problem at hand. They spent more time working on the box and less time looking at their owner or the experimenter. While the previous training the dogs from the “Trained Group” had experienced had nothing to do with this new test task, it appears that simply having a lot of training in other areas made the dogs better problem solvers. So what do these results mean? It is possible that trained dogs acquire a specific ‘learning to learn’ ability that may be largely absent in the average pet dog population. Their training experience may induce a more proactive type of approach to novel problems, such as the one presented in the study. It seems the trained dogs are not smarter because of their prior training, but rather they have learned that in a variety of different situations they are being presented with a problem that has a solution, and if they find that solution they will get a reward. Therefore, the trained dogs learn to focus on the problem itself and keep on trying to solve it, because those are the behaviors that are most likely to be successful. Winter is near, and many pet parents want their four-legged friends to join in on the family fun as they travel for the Thanksgiving and winter holidays. While car travel can be stressful for both you and your pet, a safe and comfortable road trip can be enjoyed by all with some preparation. The last thing you want is a sick pet as your travel companion. 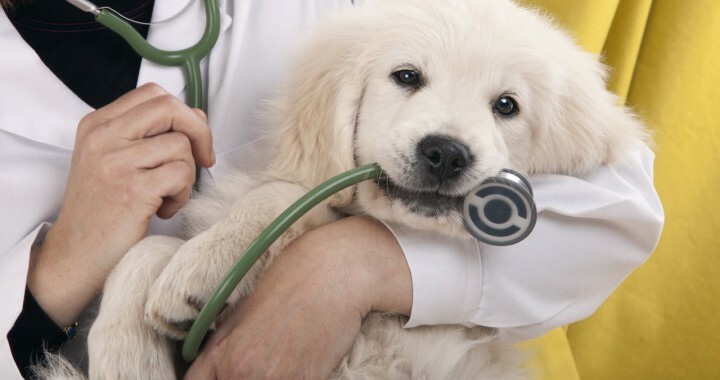 Schedule a medical check-up with your vet to ensure your furry friend is up-to-date on all vaccinations. A healthy pet equals a healthy start to your road trip. Before hitting the road, take a trial run to see how your pet reacts. Does he get anxious or car sick? Those are behaviors that should be addressed prior to the big trip. Invest in a pet restraint. Each year, more than 30,000 vehicle accidents are caused by unrestrained pets in the front seat. Allowing your feline friend to prowl freely or your canine companion to sit in your lap is not only a distraction to you, but it is dangerous to your pet in the event of an accident. Have a pet barrier, pet seat belt or travel crate ready for your road trip and take time before the trip to familiarize your pet with the restraint. Most dogs enjoy sticking their heads outside the car window, but doing so can cause ear damage and risk of lung infection. They can also be hit by flying road debris. Always keep heads and paws inside the vehicle. On the day of departure, feed your pet a light meal 3-4 hours prior to travel time. Don’t feed him in a moving vehicle, no matter how long the ride, as this may cause upset stomach and potty accidents. When packing a bag for your pet, include an ample supply of pet food, favorite toys, collar and leash, bedding, litter box and litter, any necessary medication, and any other items that will make your pet feel at home. Make frequent pit stops, ideally every 2-3 hours, for a potty break and a bit of exercise. Don’t forget to bring doggy bags to pick up after your pooch! If you’re traveling with your favorite feline, you may opt to place a small litter box somewhere within your vehicle. During your pit stops, provide your faithful friend with some fresh water. Take along a small cooler with ice cubes, which are easier on your canine companion’s tummy than large amounts of water. Finally, NEVER leave Fido or Fluffy unattended in a parked vehicle. While you may not have the worry of excessive heat during the winter months, accidents can happen if your pet is left alone. He may get stressed and scared, chew on things that aren’t meant for chewing, and, keep in mind, an animal left alone in a vehicle is an invitation for pet thieves. 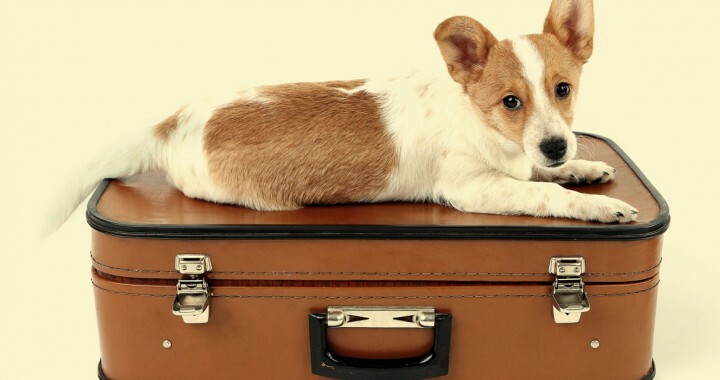 Not all pets are cut out for travel, and not all pet parents want the added responsibility of bringing their four-legged loved one along for the ride. In such cases, please contact At Home Pet Care at 651-994-9393 to schedule sitting services. You can rest easy knowing your family member is being cared for by a trained professional who will provide him with the love and attention he deserves! When a thunderstorm rolls through your area, does your precious pet become anxious, agitated, and just plain scared silly? Does the sound of loud, clapping thunder have your cat hiding under the sofa, or your dog shivering in your arms? Well, you might be surprised to learn it’s not just the noise that generates a fear response; the lightning, wind, dark skies, rain, odors and even changes in the barometric pressure can trigger a panicked reaction in dogs and cats. Pets can suffer from thunderstorm phobia, or astraphobia, but dogs’ symptoms are usually much more obvious than a cat’s, since they are naturally more demonstrative with their emotions than cats. Fear of storms in pets not something to be taken lightly. In a study of thunderstorm-phobic dogs, it was found their plasma cortisol (a.k.a. “the stress hormone”) levels jumped over 200 percent from exposure to an audio recording of a storm. With this information, it is safe to assume these pets feel fear, and perhaps even terror. 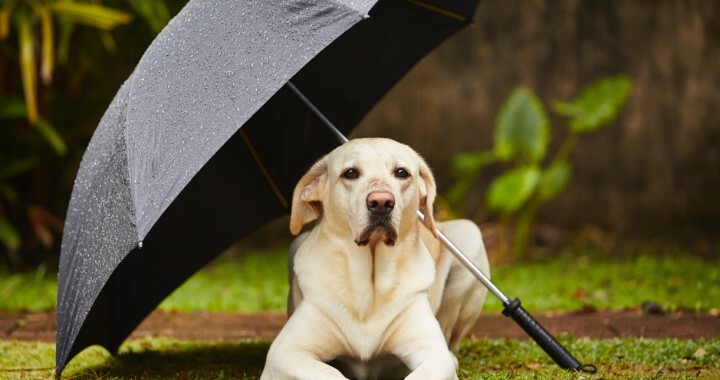 It’s bad enough that storms can create extreme anxiety and discomfort for our faithful companions, but, as a result of their fear, pet parents often become anxious and feel helpless, not knowing how to ease their fur baby’s suffering. If your pet is afraid of thunderstorms, there are things you can do to help him (and you!) remain calm despite the frightful weather outside. 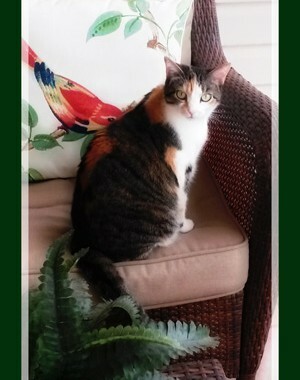 If you’ve noticed your cat run to “hide out” in a specific location when she feels the need, turn the area into a cozy, safe spot for her, if possible. For instance, if she runs to your bedroom closet whenever a storm approaches, add a cat bed – perhaps an enclosed kitty igloo – for her to rest and feel more secure. Or use a large storage bin to make her a “safe house” by cutting a small entry into the side of the bin, adding comfortable bedding inside, snapping the lid shut and covering with a thick blanket (leaving the entry visible and accessible). This will provide a dark, comfortable, somewhat soundproof escape for Fluffy when she gets stressed. For dogs, if you have a basement, it just may be your dog’s favorite spot for hiding out a storm. 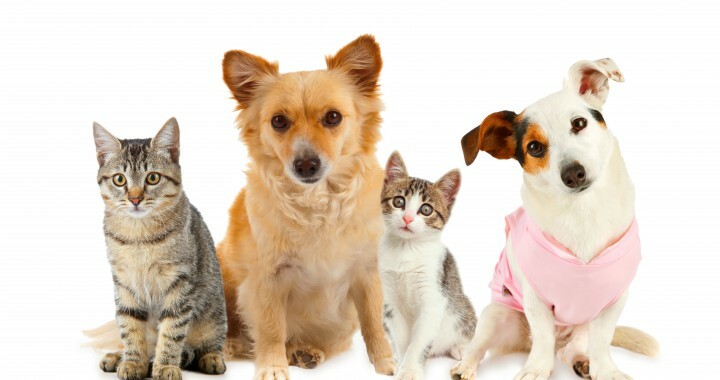 Alternatively, if a basement is not an option, a small room with no windows, such as an interior bathroom, a closet or pantry will do the trick; just add a few conveniences, such as bedding, food, water, treats and toys, and Fido will have his own sanctuary to escape the sights and sounds of the storm. It may also help to play calming music (check MusicMyPet or PetMusic for some soothing tunes) in your pet’s safe spot at a volume just loud enough to drown out distant thunderclaps. Make sure to spend time with your pet in his safe spot when it’s not storming, to get him acquainted and comfortable with the area. Ensure he has access to his safe spot at all times, especially when you are not at home. It may come as a natural instinct to try to console your fearful pet as he whimpers, displays fear, climbs in your lap, etc., but – believe it or not – that only encourages panicky behavior. While you definitely don’t want to scold your pet for being scared, you also shouldn’t reward him for being clingy or overly anxious. 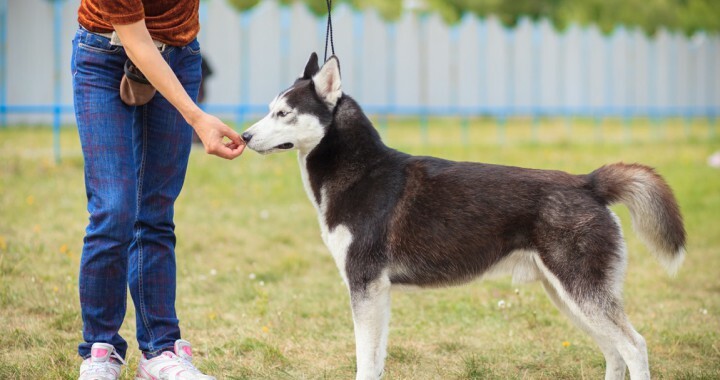 Instead, use training techniques to help your pet settle down on command. 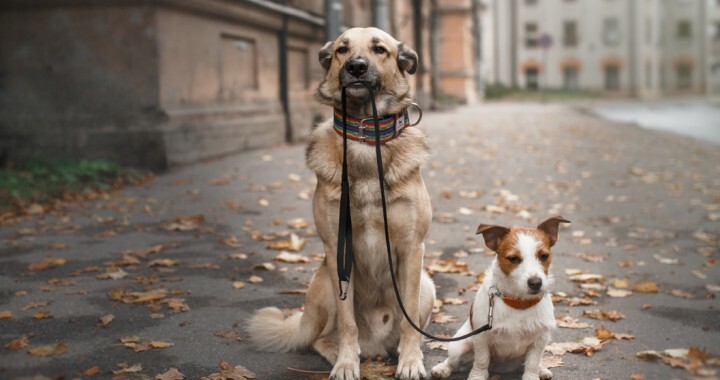 One trick that may work ~ put an “inside only” leash on your pet and practice having him lie at your feet or at your side while praising him for his calm behavior, giving him affection, verbal praise and – of course – treats. Practice this technique while there is no storm, so you pet learns the routine. Then, when a storm hits, put the leash on your pet and help him remain calm until the storm passes. While their effectiveness varies from pet to pet, snug-fitting shirts and wraps are worth a try. Such garments, specifically designed to help anxious pets, are said to have a calming effect similar to swaddling an infant. Some even come lined with metal fabric to protect pets from static shocks. Priced around $40, garments such as the ThunderShirt and Storm Defender may be a wise investment for your nervous pet. Thunderstorm phobia is more common amongst pets than you may realize. If your pet suffers from this fear, don’t take it lightly. Do what you can to help him feel safe and comfortable when a thunderstorm arises; doing so will help him with his stress, and you with yours! 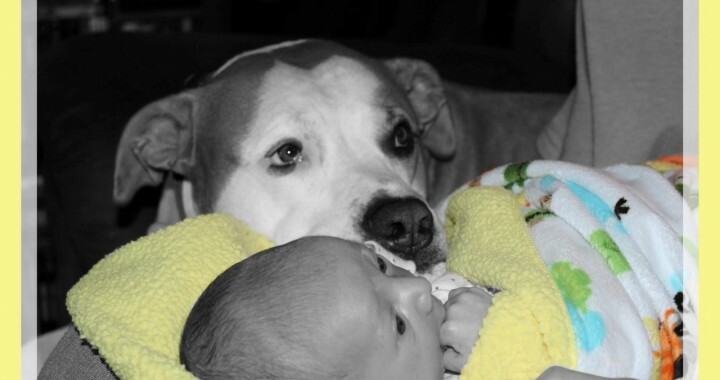 If your dog has long been considered the “baby” of your family, he might not handle it well when a new human baby joins your pack. Not only will Buddy receive less attention, but he’ll also have to become accustom to new smells, sounds and sights that can all leave him feeling stressed and insecure. Changes in his routine, the actions and behaviors of his humans, and the presence of a new, loud, odd looking hairless human can throw off even an otherwise well-mannered dog. To alleviate the stress of a sudden transition, take time during the nine months of pregnancy preparing Buddy for the new family addition. Create a baby-friendly routine for him that will result in minimal changes in his life once baby arrives. It is also a good idea to familiarize him with sights and sounds of babies to help him remain at ease once the real thing comes into his home. Something as simple as YouTube videos of babies crying may help, or a visit to a friend’s home who has a baby – just be sure to keep Buddy well secured for the safety of the baby. Don’t try to do too much at once – remember, you have nine months to prepare him. Chances are, you’ve already provide Buddy with some basic training skills and he identifies you as the pack leader. This is necessary in order for him to respect your authority, an essential need when there’s a baby involved. If you recognize you are not the leader of the pack – i.e. Buddy believes he rules the roost – pre-baby obedience training is highly recommended. Believe it or not, a dog feels most secure when he knows the pecking order of his pack, even if he is not the leader. SET LIMITS. Set an invisible boundary for Buddy, making the baby’s nursery off-limits by warning him with a low and stern “NO” when he attempts to enter the room. Later, allow him to enter when supervised, giving him the opportunity to sniff the area. Ensure he leaves the room when you tell him to do so. This tells Buddy you have control over the room and he needs to respect your control. Repeat the process regularly, allowing him to sniff new things as they are added, such as the crib, changing table, blankets, clothes, etc. – just ensure he does not jump on, chew on, lick or bite anything. Some dogs fear things that move, so be sure to push the baby’s stroller around in front of him to test his reaction. Reward his calm behavior with treats and affection to form positive associations with the contents of the nursery. CREATE A BABY-FRIENDLY ROUTINE. Perhaps Buddy is accustom to playing with his human at least three times per day and knows if he sits in front of the door, he will be taken for a walk outside. This routine will likely be disturbed once baby arrives as new parents are naturally occupied with their baby much of the time. But, as a pet parent, the duties of pack leader need to be fulfilled as well. Soon-to-be parents should create a new routine that will satisfy the needs of the baby and Buddy, and stick with the routine once the new baby comes home. Teach Buddy to walk on a treadmill – yes, it can be done! If Buddy’s usual walk time needs to be shortened, consider a doggy backpack (yes, there is such a thing!). A backpack loaded with 10 to 12 percent of your dog’s weight creates a challenge your dog will love, and it will tire him out in just a fraction of the usual time. If Buddy is small or older, a walk beside the stroller with baby in tow may work just fine. Take a few practice runs, teaching him to walk calmly beside an empty stroller, before baby comes home. Preparing Buddy for the addition of a baby to his pack is of the utmost importance. A well-behaved family dog is a definite asset to a child’s life, providing unconditional love, companionship and protection. However, a dog that is not prepared may be unhappy and a potential danger to baby. Do all you can to make the transition as stress-free and smooth as possible. 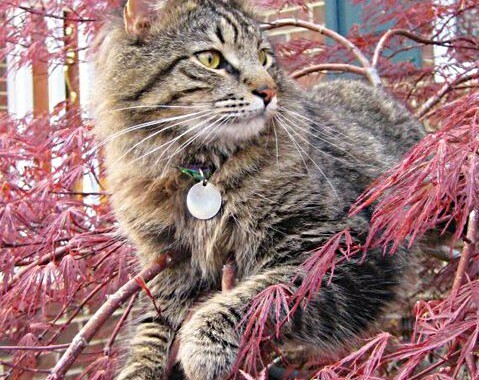 According to a study done by the Journal of the American Veterinary Medical Association, cats who fall from a distance of 5.5 stories up to 32 stories have a survival rate of approximately 90% (assuming they are treated for any injuries that may occur because of impact with the ground). Talk about a cat nap ~ cats spend 70% of their lives sleeping! When cats grimace, they are usually “taste-scenting.” The expression permits air, which contains organic molecules, to waft close to a special organ (located between your cat’s nose and incisor teeth) for processing. The cat’s tongue may be recruited to help move and circulate the air, sort of like the feline version of wine tasting. The average litter size for a cat is four to six kittens. But, in 1970 a Burmese/Siamese cat gave birth to a record 19 kittens! In the 1960s, the CIA tried to turn a cat into a bona-fide spy by implanting a microphone into her ear and a radio transmitter at the base of her skull. She survived the surgery but sadly was hit by a taxi on her first mission. Cats’ ears are quite amazing. They can hear sounds as high as 64 kHz – compared with humans, who can hear only as high as 20 kHz; they can move 180 degrees; and they can move independently of each other. King Charles I of England (1600-1649) had a black cat that he loved dearly. Stories have been passed down through the generations that the king’s black cat brought the king good luck. The day after his black cat died, the king was arrested and later beheaded, thus supporting the belief his cat provided his luck. Most cats don’t like water because their coats do not insulate them well enough. However, a cat breed known as the Turkish Van does not have the insulation problem and LOVES water! Adult cats spend as much as half their waking hours grooming (licking) themselves. In ancient Egypt, cats were held in the highest esteem. When a cat dies, their human family would go into a deep mourning and shave their eyebrows as a sign of respect. The cat would be mummified and buried in a pet cemetery or family tomb along with such provisions as milk, mice and rats. A tomb in Beni Hassan (an ancient Egyptian burial site) discovered in 1888 was found to contain approximately 80,000 buried felines. The oldest cat video on YouTube dates back to 1894 (the year it was filmed, not the year it was posted on the internet!). It features two cats boxing and is aptly named “The Oldest Cat Video on YouTube: 1894 Boxing Cats.” Check it out! We’ve always known cats are incredible creatures, but who would have guessed their history, abilities, habits and lives are so intriguing? 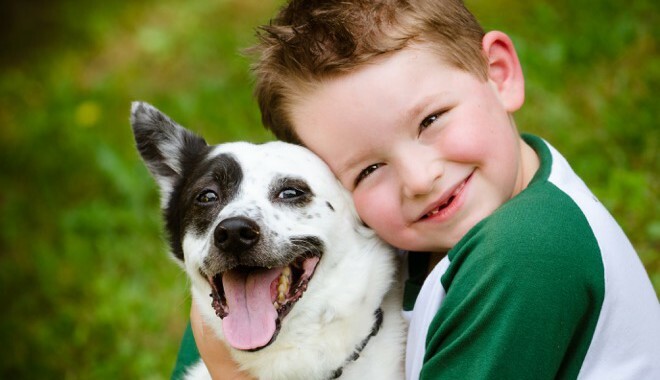 Choosing a first pet for your child can be a daunting task. A young child may not comprehend the needs of a pet or be able to recognize the proper way to handle one. And, with pets having much shorter life spans than humans, introducing a new pet may also result in your child’s first experience with death. Yes, there are many questions to ask yourself before making the commitment to bring a pet home for your child – Is my child old enough? Will he be kind to the pet? What pet would be best suited for him? If you have a toddler, it likely isn’t a good choice to introduce a pet such as a hamster or fish. Not only do they have short lifespans – which will inevitably lead to the explanation of death – they are small, fragile and require sensitive care. Yes, it may be a good learning experience, but always keep the animal’s safety and needs in mind. Believe it or not, hermit crabs are actually an ideal first pet for a child. They are interesting, low-maintenance, extremely social and can live ten plus years with the proper care. And their regular molting and new shell growth will likely intrigue your child. Yes, a hermit crab is a great option for introducing your child to the world of responsible pet ownership. If you and your family aren’t the skittish type, a rat may be an ideal first pet. Though they come with a negative association, rats are actually quite intelligent, social and easily tamed creatures. They often become emotionally attached to their humans and even enjoy a good cuddle. Despite popular opinion, rats are quite clean, when purchased from a reputable source. They can live up to two or three years, with proper care and exercise, and thrive when they have a rat companion by their side. Of course, when most of us think of a proper pet for our child, we think of a cat or a dog. Indeed, cats and dogs are wonderful pets, but be conscientious of the fact that cuddly kittens and precious little pups usually aren’t an ideal choice. They require a lot of patience and training in order to grow into well-adjusted adults, and a child likely can’t fulfill that need. Sure, you can take on the task yourself, but do you have the time and the composure to handle a child and a fur baby? Instead, consider adopting a more mature dog or cat. Adult animals are typically more tolerant of children and have likely been trained to some extent, making it an easier transition into your home and into your child’s heart. A first pet can be a lesson in responsibility for any child. To ensure a pleasant experience for everyone – including the animal – be confident that your child is ready for a pet and do your research before making a pet choice. And, as importantly, be willing and prepared to take on the responsibility yourself, as any pet comes along with certain expenses (food, veterinary care, etc.) and requirements (regular feedings, exercise, training, etc.). There seems to be two popular schools of thought when it comes to our feline friends: 1) Domestic cats are indeed relatives of wild cats, therefore they will be happier and better off left outside, and 2) Domestic cats are known as ‘house cats’ for a reason – they are meant to stay inside. So, does keeping a cat inside go against nature? Are you being selfish for wanting your cuddly kitten to stay inside with you? Would I be a better pet parent if I kept him inside most of the time, but let him wander outdoors on occasion? No, no and no! Sure, we may think the outdoor life is more fulfilling for Fluffy, but did you know it can shorten her life span to an average of only two to five years? 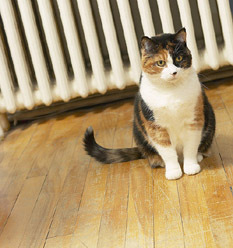 Compared to the twenty-plus years a healthy indoor-only cat can live, a mere two to five years simply isn’t fair. Retaliation from an unsympathetic human who got angry over cat prints on his car or poop in his flower bed. 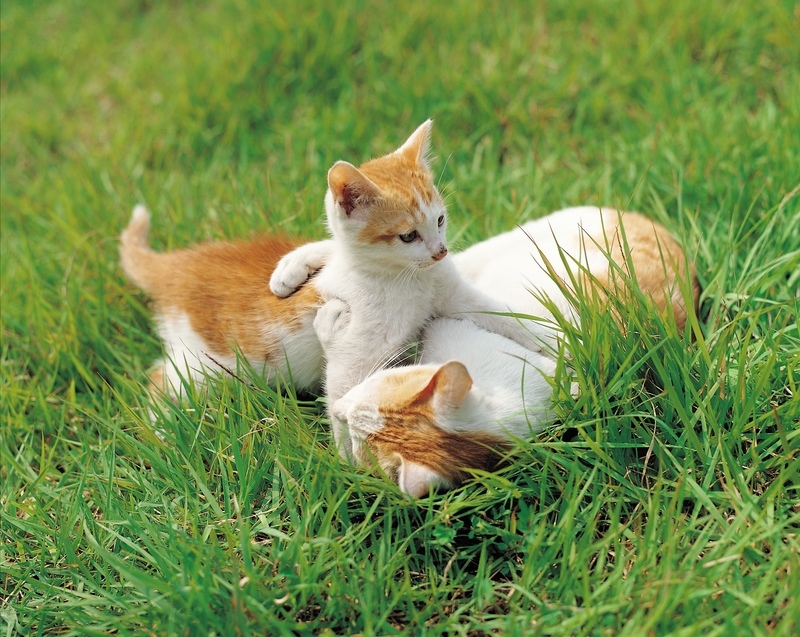 If you are a pet parent to an adventurous outdoor feline, you may be saying “My cat is too smart to get hit by a car” or “My cat wouldn’t hurt a fly; he’d never get into a fight.” It only takes one mistake. One moment of fear-induced flight from a neighborhood dog can result in your cat not noticing an oncoming car. One indulgence in a sweet treat of antifreeze can cause severe internal injury, or even death. Cats are sensory creatures who get pleasure from different sights, tastes, smells and sounds. They need to exercise their bodies and their minds. While the outdoors seems a natural environment to fulfill your cat’s wants and needs, you can easily satisfy her cravings by bringing the outdoors inside. Plant some oat grass or catnip to offer indoor grazing options. Put a perch beside a window. Provide a scratching post or kitty condo to keep your cat active and entertained. Better yet, add a second cat or a dog to the mix to provide him with companionship and entertainment. Whether you choose to raise your cat indoors or out, it’s just that – your choice. But, before choosing, consider your environment and the possible outdoor hazards and make the choice that is best for your furry friend. Who doesn’t think their Fluffy is the cat’s meow, or their Fido is doggone delightful? These days, many of us hold our pets in the highest esteem, considering them more than just an animal, but a part of our family. Yes, they bring us unconditional love, provide companionship and fill our lives with joy, but did you realize they also bring us health benefits? That’s right, your precious four-legged family member is just what the doctor ordered! If your pooch is like most, just the sight of his leash fills him with excitement. Well, you should share in that excitement knowing he is improving your overall fitness with every step the two of you take. Studies find people with pets have more opportunities for exercise and outdoor activities, and their cholesterol and triglyceride levels tend to be lower. These factors contribute to a reduced risk of coronary heart disease and other heart-related health issues for pet parents. You’ve heard of people having pet allergies, but did you know having a pet can also reduce allergies? Children raised in a home with pets are less likely to develop pet-related allergies, which may contribute to lessened sensitivity to other allergens such as dust, grass and ragweed. Depression affects more than 350 million people of all ages worldwide. Many studies have found having a cuddly companion can help lower your risk of developing depression, since they are also known to help reduce stress, and they help their pet parents feel less isolated and lonely. Health experts agree, a furry sidekick can have very positive psychological effects. Pets help reduce stress, you say? The next time you’re feeling a bit frenzied, spend time with your pet. It is proven petting a dog or cat can help lower blood pressure. And, it’s been found pet parents cope better with stressful events and recover more quickly from stressful situations when with their pet, even more so than when they’re with a friend or spouse. Not quite the social butterfly? Pets help their humans socialize, providing ample opportunity to make new friends. How many of us have struck up a conversation with a stranger while visiting the dog park, or made a new friend in the waiting room at the vet’s office? You can thank Fido and Fluffy for that! Studies have linked an increased number of social relationships to longer life spans and a reduced risk for physical and mental declines during your golden years. While these findings have been discovered via medical studies, it’s difficult to determine just how much your furry friend comes into play with these health benefits, as there are other factors to consider. But rest assured knowing your pet does have a positive impact on your well-being and thank him for it with plenty of love and cuddles every day!